Freelance article writing is one of our latest projects and I must say I really enjoy this kind of work. The more articles I write, the more creative I become as a writer. How does Freelance article writing work? Customers contact us with a briefing and a topic. Some clients prefer to send us resources for research. We research the topic and write articles based on specifications (specified amount of words, headings, search engine optimization) for the client. Once the work is submitted, the client checks it and make payment. Our articles are all checked with Grammarly and we do a plagiarism check before we submit the articles to the clients. Copyright to the material we wrote is held by the client once they pay us for the articles or web content. Search engine optimization is an optional extra in the freelance articles which we write. Reason being, that a lot of the companies we write material for are also web development companies and they prefer to do their own search engine optimization. Press releases – our service also includes writing of press releases for companies and individuals. I am qualified in public relations since 1993 so I do have 23-years of experience in public relations which we now use online. Press releases should be used to communicate with the media and keep them informed about new products, services, news and events. Google has specific tag requirements which should be adhered to when press releases are published. We will advise how it works should clients not have their own in-house developers to take care of the optimization and Google compliance. I have been an Ezine article writer since 2005 and write articles covering various topics just for fun. Click on the logo to view my approved articles covering various topics from telecoms to food and sport. Find more freelance article writing examples on my LinkedIN profile. A sample of web content for a blog focused on family swimming. 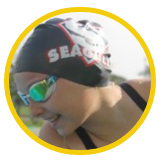 This blog is actually the journey of our own family where we share the trials and jubilations of our daughter who is a young swimmer. Like what you read? Need help with your articles, press releases and content? ‹ Text SMS Content Writing – 2017 is here!! The total glance of your site is great, as smart as the content!